Fresh, lively structural acidity, good weight, rich-for-the-category mouthfeel. Complex-for-the-category fruit extraction - white flowers, plum/strawberry/watermelon rind, with vinous tobacco, smoke, black pepper and graphite hints over wet stone minerality. All stainless steel, all the time. The final blend is 25% Grenache Rosé from the village of Villesequelande which exhibits mouthfeel, 25% a different Grenache Rosé from the same village of Villesequelande for color and 50% a previously blended Rosé from the village of Cesseras comprised of 90% Mourvèdre 10% Syrah. The Cesseras component delivers vibrant acidity in support of fresh fruit flavors, while the agricultural element notes & minerality bring character & sophistication to the fun. We partnered with the woman of wine, Leslie Sbrocco, to release a rosé wine lovers will enjoy all summer long. 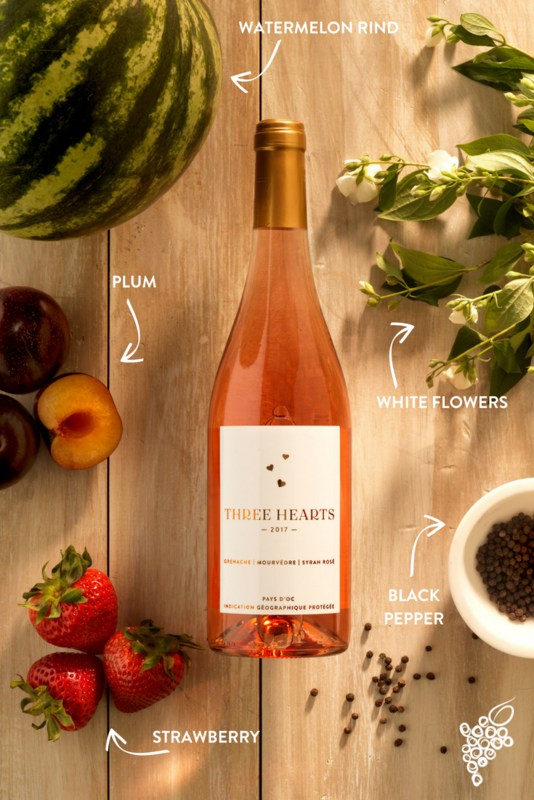 What makes this rosé even more unique, is the story behind the Three Hearts label, which is a nod to the close relationship Leslie shares with her daughter and mother. Thanks for the Three Hearts love! Was so proud to partner with Traveling Vineyard to bring this wine to life. 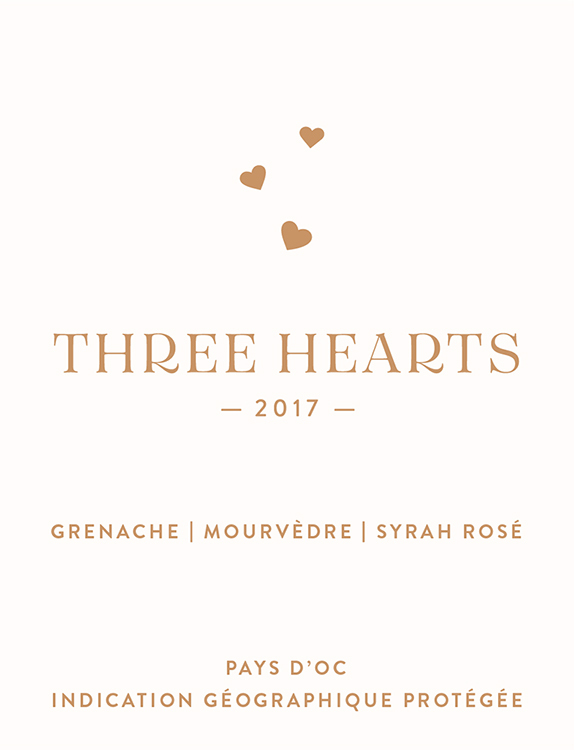 Named for the special relationship with my mom and my daughter, I know everyone has "three hearts" to celebrate. Sante! Three Hearts is right on point and right on time! This rose is perfect for summer. It’s so versatile... perfect to serve with light, cool summer salads and deserts, perfect for snacking with cheeses, crackers, and fruit, and perfect for sipping by the pool or on the deck . The quality and complexity yet beautiful simplicity of this wine has definitely won MY heart! Three Hearts is amazing! I love Rosès.. however Three Hearts takes the cake! This will change my Sunday brunch forever, in the best way! Excellent work :heart:?